For the best part of eight years, if you booked a Celebrity cruise out of Southampton, you would be boarding Celebrity Eclipse. 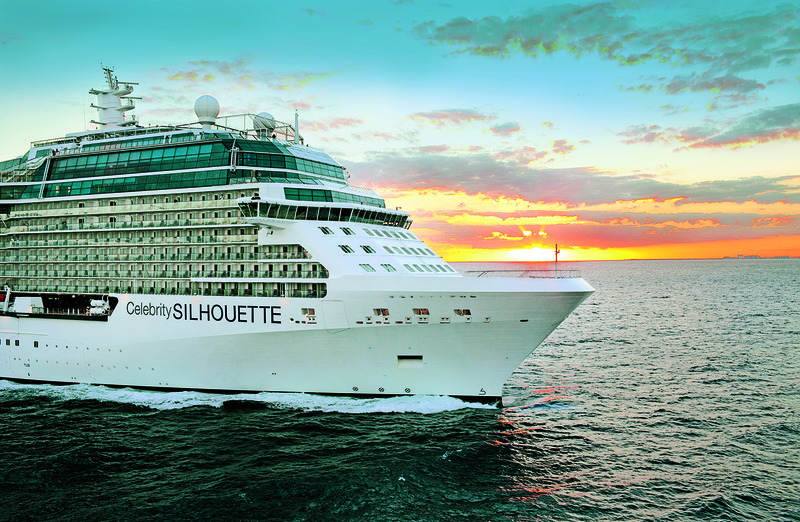 Much loved, this Solstice-class ship delivered happy passengers to their European destinations in style and comfort. But nothing in the world of cruising stands still for long, and now there is a new Celebrity ship welcoming guests at Britain’s premier cruise port. Celebrity Silhouette is Eclipse’s younger sister (by one year) and she will be home-porting on the south coast this summer, offering a selection of cruises around Europe, from the Med to the Baltic and all points in between. Joining her inaugural sailing from Southampton to Le Havre and back again, I had ample opportunity to explore this 2,886-passenger vessel, which previously sailed in the Caribbean for the US market. So what’s new? Not much, to be truthful, but that’s no bad thing. What we have here is a ship that takes an already successful formula and tweaks it so it’s even better. The highlight of any Celebrity ship is its Lawn Club, and Silhouette is no exception. This half-acre of real, manicured turf on the top deck lends the ship a distinct country-club chic, and whether you want to play a few lawn games, have a picnic or catch a jazz performance, this is a delightful place to while away an afternoon. If you prefer a bit of privacy at the same time, Silhouette offers a new exclusive space called The Alcoves, still part of the Lawn Club but yours to hire for the day from $99. It’s the perfect spot for special occasions or as a luxurious location to relax over lunch on sea days, but be warned – it’s so popular that the eight spaces often sell out before the cruise even begins. Talking of lunch, Celebrity Silhouette may cut a stylish figure against the horizon, but there’s a good chance yours won’t come back quite as shapely, thanks the range and quality of the on-board dining options. All the Celebrity Cruises favourites are present and correct, so if you want to get stuck into a juicy steak, then the Tuscan Grille remains a cut above; you can enjoy global culinary favourites with a twist at Qsine (sushi lollipops, anyone? ); and if you have a hankering for French fine dining then make your way to Murano. All of the aforementioned can be found on deck five, as well as the fantastic Sushi on 5, where a dedicated sommelier will pair your shrimp tempura roll – or whatever else takes your fancy – with the perfect sake. The big difference between Eclipse and Silhouette is the addition of the Lawn Club Grill. Taking over the former glass-blowing demo space on the top deck, this new venue lets guests get creative by choosing, preparing and cooking their own grilled meat or pizza. 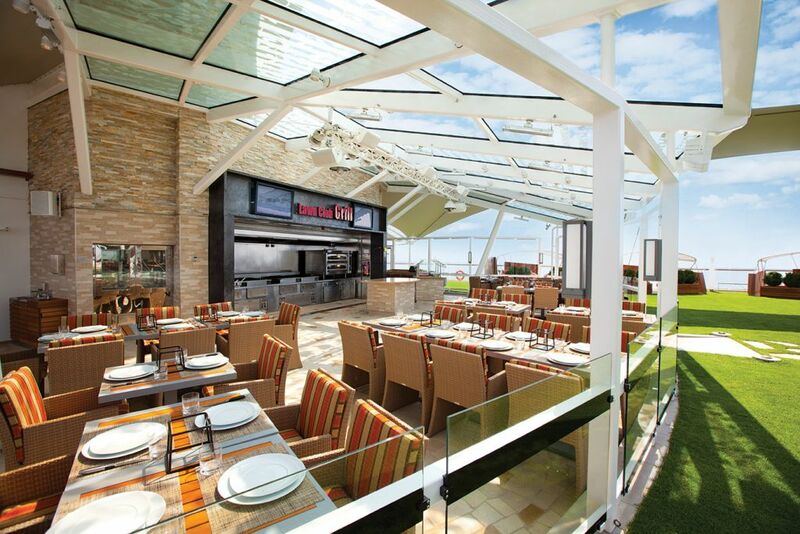 Naturally, a Celebrity Cruises chef is never too far away, so there’s no danger of creating something inedible. And if making your own lunch doesn’t chime with your idea of a holiday, there’s always the option to have everything done by a professional. As well as polishing your culinary skills, you can also take your oenological game up another level, thanks to Celebrity’s continuing partnership with Channel 5’s The Wine Show. On selected sailings there’s an opportunity to benefit from the expertise of presenters Joe Fattorini and Amelia Singer during a special tasting session. So what do you learn? Well, think of it as an introduction to wine rather than a full-blown course. You’ll find out the best way to taste (sniff, swish, spit); you’ll get to talk confidently about “structure” and “tannins” and, if you’re anything like me, you’ll end up somewhat tipsy because you necked five glasses of wine in a little under an hour. But it’s all great fun, and so welcoming that anyone can join in – no matter how untutored their tastebuds. Happily there was no hangover the next morning when we docked at Le Havre. Flattened during the Second World War, the town was rebuilt from the ground up by celebrated Belgian architect Auguste Perret, a master in the use of concrete. That may not sound promising, and yes, the town can look a little drab on a dull day. But it definitely has its attractions, and the moment you step inside St Joseph’s church, something extraordinary happens. 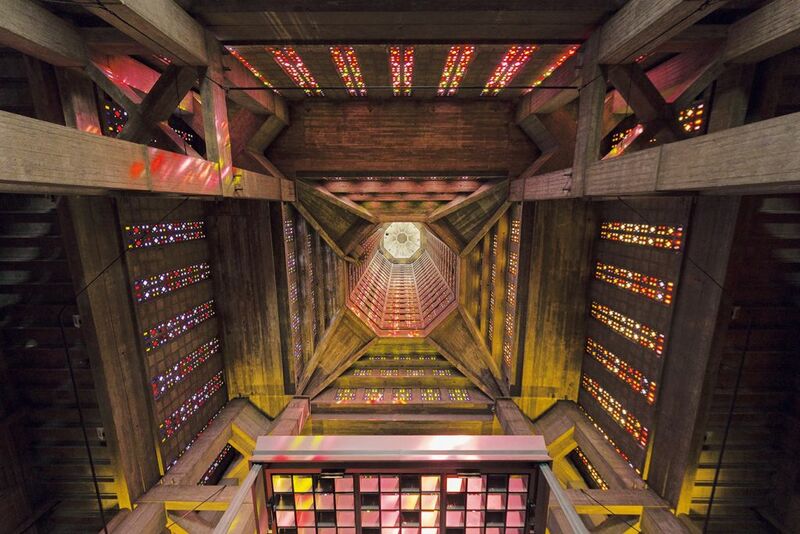 Thanks to more than 12,000 individual pieces of stained glass, rising all the way to the top of the 107m tower, this world of grey erupts into a kaleidoscope of colour. It’s an effect that’s highly unusual and powerfully uplifting. Afterwards, not even the persistent drizzle could dampen my spirits as I made my way back to the ship. The skies may have remained resolutely overcast but there was never a dull moment on Celebrity Silhouette. Shows were held twice nightly in the Main Theatre, and our sailing was blessed with an Elton John impersonator who belted out the Piano Man’s hits very capably (Goodbye Yellow Brick Road remains an undisputed classic). For those who needed a little peace and quiet, there was always The Hideaway – an extraordinary space, like a treehouse with comfy chairs – or the Canyon Ranch spa. But come sundown it was all about the nightlife, with DJs and live music keeping everyone entertained into the small hours. By the time I returned to my cabin it was, shall we say, well past my usual bed time. But I took just a moment to stand on the balcony before turning in. Watching the waves rising up and down in the dark, I smiled. It was still raining, and a gale seemed to be blowing up, but I couldn’t have been happier. 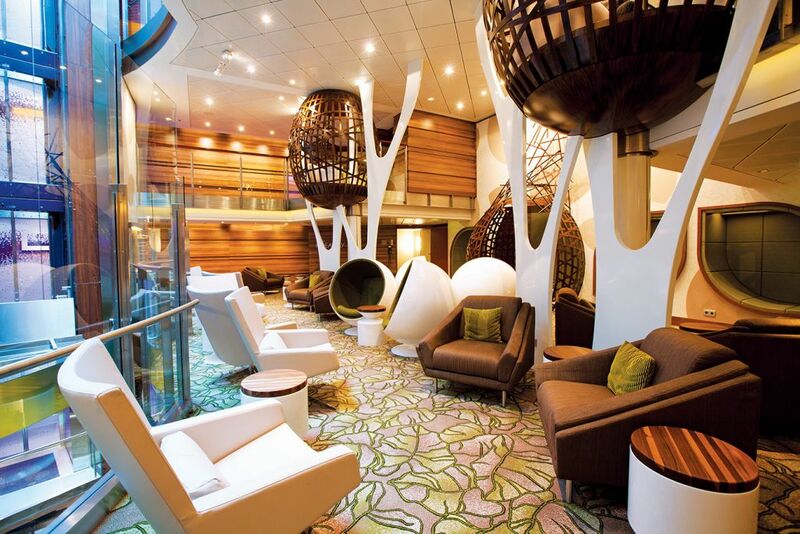 Celebrity Silhouette is the perfect successor to Eclipse. Sailing out of Southampton, UK passengers will just love her. After all, she is a star.